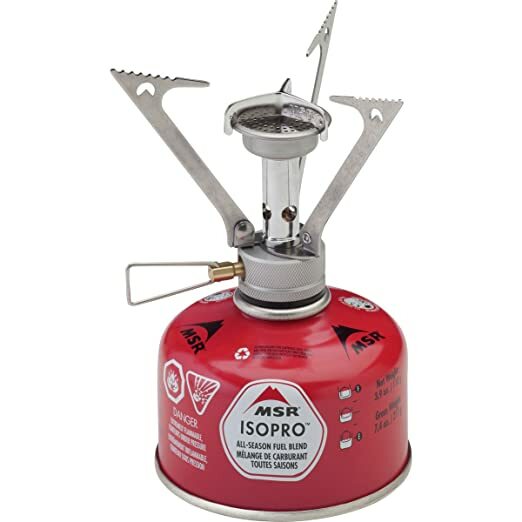 This minimalist backpacking stove is ultralight (3oz) and offers quick heating with no priming needed. The compact design even fits easily within an insulated mug or small pot to make use of space. Fuel is sold separately and there is no windscreen available for this model. Note: A windscreen can be fashioned easily on site. Using materials you have on hand will help keep storage space and weight to a minimum. MSR products have always been well made and easy to use. 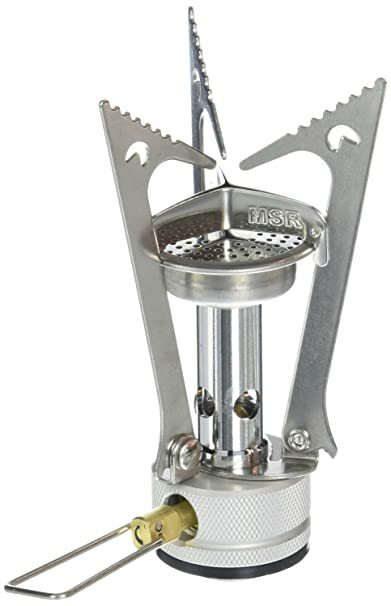 I love this stove because it sets up so easily and there is not alot of extra steps… just screw the stove to the fuel, twist the control valve and light. The heating power of this little stove is excellent. I have cooked ALL of my meals on this stove while on a 4 day trip. I brought along an extra fuel canister just in case, but never needed it. Having one or two of these stoves on hand is perfect for me. I like to have one with me when I go mountain biking, so I can cook up a quick parking lot lunch when I return to my vehicle after the ride. Leave a comment and share your favorite meal to cook with rocket stoves or what features you like most about them. 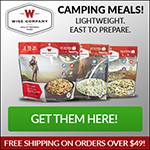 This entry was posted in Gear Reviews and tagged Backpacking Stove, Camp Cooking, Camping Stove, Outdoor Cooking. Bookmark the permalink.